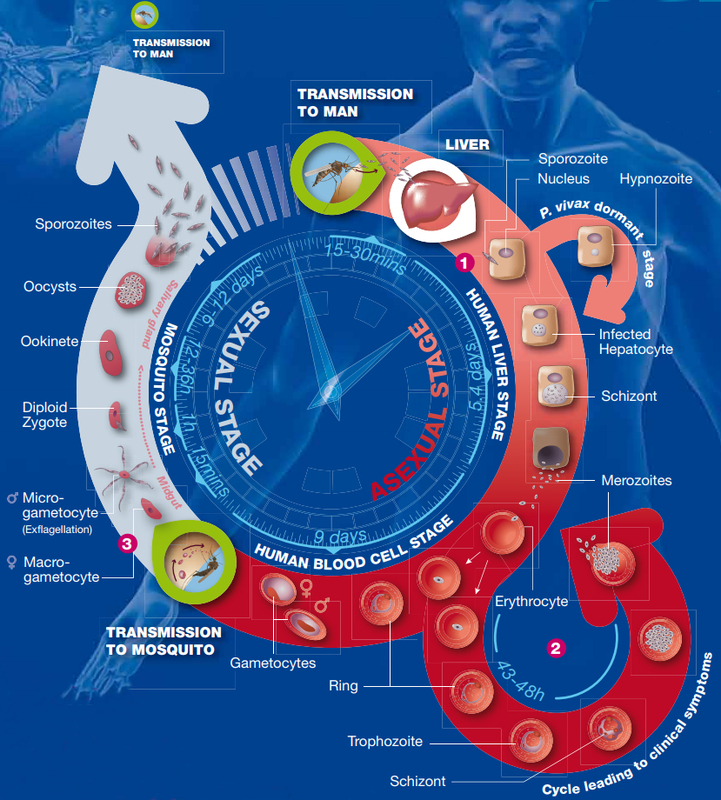 The Plasmodium parasite has a complex lifecycle that involves a number of developmental forms and depends on transmission of the protozoan pathogen between a vertebrate host and a vector. The figure below illustrates the complete lifecycle for the Plasmodium spp. that infect a human host. A full description of the parasite lifecycle is available from the Medicines for Malaria Venture website. BELOW: Two short animated videos explaining both the human stages (left) and mosquito stages (right) of the parasite lifecycle.